Most of us are already familiar with this statement "prevention is better than cure". It is not just an ordinary statement, but rather it is a call for all hands to be on deck so as to avoid a future negative occurrence. In this post, i will be revealing to you how important this statement is as regards a very popular disease of our time called stroke. Stroke is a diseased condition you will never wish to experience, but the good news is that it can be treated if it is detected and addressed early enough. But how can you detect if someone is having stroke, the answer is through the warning signs. Research have revealed that a whole lot of people suffer from stroke every year, and many die from it. This report alone makes this brain-damaging condition dreadful. Of course, stroke prevention is the best approach to lower the statistics, but the problem will always exist. Still, medical experts say the number of deaths and the number of people suffering significant health damage would be lower if we all could spot the warning signs of stroke. before getting to the warning signs, let us take a fast look of what stroke is all about. A stroke happens when the blood to the brain is cut off or reduced. This means that the brain cannot get the required oxygen and nutrients. As a result, brain cells start to die. When brain cells die and stroke occurs, both physical and mental abilities controlled by the brain, including muscle and memory control, can be lost. After a stroke, a person can be left with impaired judgment, impaired mobility, perception difficulty, unusual emotions, significant speech impairment, memory loss, and problems from neglecting the affected side of the body. Depending on the area of the brain that is affected, the impairment can be mild or severe. Signs of a stroke in men and women may slightly differ, but there are some general common symptoms that occur in both genders. Unfortunately, many men are less aware of the signs and symptoms of a stroke, compared to women, which increases their risk of resulting complications. Therefore, it is important to recognize the signs and symptoms that are listed below. Communication experts say that close to 90% of what we say comes from non-verbal cues. In other words, our body language can tell people a lot. Spotting a stroke is like reading body language. The key warning signs of stroke can be detected from the letters F-A-S-T. Now let us look at their various meanings. F — stands for one side of the person’s Face dropping. It could be numb. Ask the person to smile and see if they have an uneven smile. A – ask the person to raise both Arms. If one arm is weak or one arm drifts downward, this is a sign. S – is the person’s Speech slurred? Can they speak at all? T – it is Time to call 911 if any of these symptoms occur. You should also check the Time so you know when the signs started to happen. 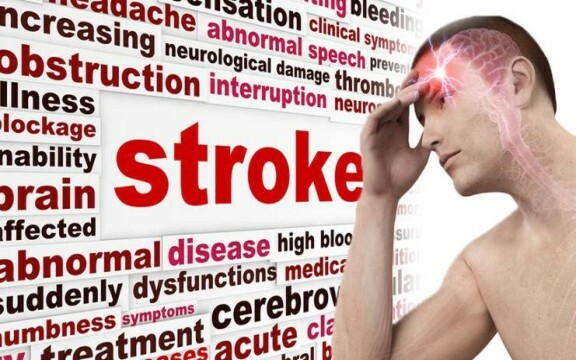 Some stroke sufferers will complain about other symptoms such as blurred or blackened vision, as well as headache, dizziness or altered consciousness. Stumbling and loss of balance can also be an early sign. Genetics can play a role in stroke. However, just because a family member suffered a stroke does not mean you will have a stroke. It can mean that you might be at a higher risk for having one than a person who does not have a family history of stroke. Maintain a healthy blood pressure: This is because high blood pressure is the biggest contributor to the risk of stroke. Lose some weight: If you have a few extra pounds, it turns out that losing as little as 10 can lower your stroke risk. Exercise more: Studies show women who walk three hours a week are less likely to suffer a stroke. Drink in moderation: Once you start drinking more than two drinks per day, your risk goes up. Studies show, red wine should be your first drink of choice when it comes to alcohol because it has brain-protecting properties. Quit smoking: Smoking increases clot formation. Treat diabetes: High blood sugar over time can damage blood vessels, causing clots to form. Having a stroke can be life altering, not only for the patient, but for family members as well. In many cases, all aspects of life (social, physical, emotional, financial) are thrown upside down when someone has a stroke. It’s a hard road to travel, but consider how easy it is to keep a FAST list as a reminder on your table or in your wallet. Detecting a stroke early and getting them to the emergency room quickly could be vital to survival and determining what quality of life the person will have following rehabilitation. Kindly share this piece of information with your friends on various social network by using the share buttons below.